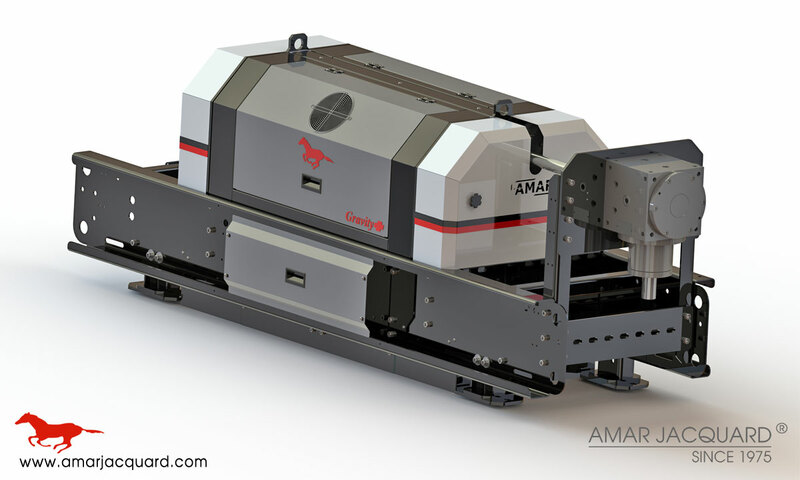 Amar Electronic Jacquard Machines Gravity Model are ideal for weaving Flat Fabrics, Terry Cloth and Technical Fabrics on all types of Rapier, Airjet and Waterjet Looms. They produce excellent results in nearly all applications whether with Terry Cloth, Sarees, Shawls, Stolls, Blankets, Curtains as well as Technical Items. - The Jacquard Machines GRAVITY are very robust, wear-resistant and designed for many years of daily use with a minimum of maintenance.